In 2010, American photographers Amy Stein and Stacy Arezou Mehrfar embarked on a month-long road trip throughout New South Wales, Australia’s most populous state. 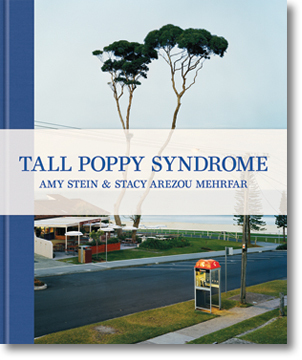 They were interested in investigating the Australian social phenomenon of tall poppy syndrome, in which successful people, or the “tall poppies,” get “cut down to size” and are resented or ridiculed because their talents or achievements distinguish them from their peers. Is the syndrome real? Can it be documented or observed? Stein and Mehrfar set out to explore quintessential Australian life and find what evidence they could of the existence of this phenomenon. They spent their days meeting and photographing everyday Australiansfrom schoolchildren in their plaid uniforms to young surfers playing at the beach to grandmothers meeting at their social clubsall the while learning about the relationship between the group and the individual within Australian society. 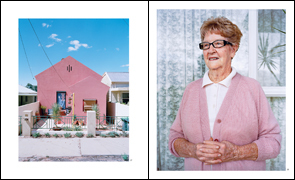 The resulting photographs in Tall Poppy Syndrome present their investigation into and observations of daily Australian life. Amy Stein’s work explores man’s evolving isolation from community, culture, and the environment. Her work has been the subject of numerous national and international exhibitions and is included in the collections of the Philadelphia Museum of Art, the Museum of Contemporary Photography, Chicago, and the George Eastman House Photography Collection among many other public and private institutions. Her first monograph, Domesticated, was published by Photolucida in 2008. Stacy Arezou Mehrfar is an American photo-based artist living in Sydney, Australia. Her work has been exhibited internationally, including the United States, Australia, and Europe and is included in several public and private collections. In May 2011 she had her curatorial debut with “No Direction Home,” an exhibition commissioned for the Head On Photo Festival in Sydney, Australia, which featured contemporary American photographers working within the tradition of road trip photography.